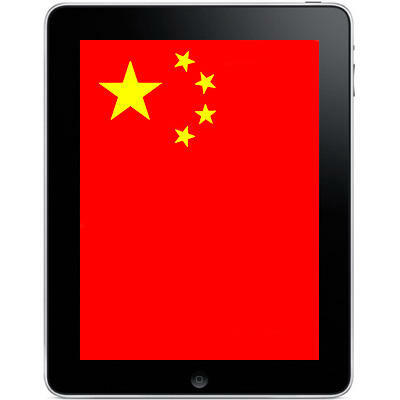 It seems that Proview may run into some issues with the idea of banning the export of iPads from China after all. As we reported yesterday, Proview is looking to potentially block the import and export of the iPad in China as a result of a trademark battle it is currently engaged in with Apple. The company has successfully gotten some local authorities in 20 cities around China to confiscate iPads from store shelves, but it isn’t finding the battle quite as easy on a national level. While no one has officially said anything, a complete ban on the exports of the iPad would have a significant impact not only on Apple, but also on Foxconn, the Chinese manufacturing company that is so tightly associated with the assembly of Apple products. While Proview would indeed be hitting Apple in their waller and possibly forcing them to take the trademark argument more seriously, it would also have a negative impact on a Chinese company that employs tens of thousands. The entire conflict stems from a disagreement over the name “iPad.” Proview did indeed hold the name in ten countries, but sold it several years ago to London-based IP Application Development Ltd, a company backed by Apple, for £35,000. IP then sold the name to Apple a few months later for £10. Proview is claiming that the sale did not cover the rights in China, however, and that is where the current fight is coming from. Reuters, however, sent a reporter to one of Proview’s factories in Shenzhen and found an abandoned building with broken out windows and garbage piled everywhere. The company has been in financial trouble for some time now, and it’s stock currently trades at HK$.20, which translates to $.03 USD. Some believe that the 10 billion yuan (approx. $1.6 billion USD) that the company is currently seeking from Apple is more of an effort to keep themselves afloat than anything else. For now, it appears there is little to no chance of Apple losing its supply of its popular tablet on a global scale, but the fight within China’s borders is set to continue.